If three quarters of your potential audience have little or no knowledge about your cause, how do you raise awareness and change attitudes? 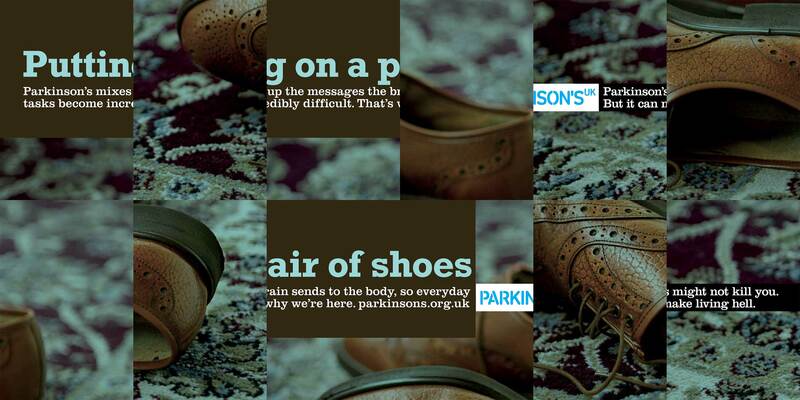 This is the problem we faced at Parkinson’s UK when launching our first advertising campaign. Time and time again we lose out on corporate partnerships at the staff vote stage because we’re not well known enough. Although around 1 in 500 people in the UK have Parkinson’s, it remains an often-misunderstood condition. Our campaign aimed to raise awareness of Parkinson’s by educating the public about the everyday challenges people with the condition face. "Parkinson’s might not kill you, but it can make living hell." The ads demanded interaction as photographs of everyday activities were mixed up to create a visual puzzle. Placement was important as we needed locations where people seek out visual stimulus, such as trains. We estimate the offline side of the campaign reached a third of the UK population, across 48 sheet adverts in train stations, smaller ads on trains across the southeast network and in four national newspapers. “Just wanted to tell you that I found the new Parkinson’s ad excellent. I really feel I now have much more insight into how debilitating life can be for a person with Parkinson’s. Well done for a fantastic campaign poster!” – Member of the public, via email. We were really mindful that people affected by Parkinson’s and their families may see the campaign, and considered the potential impact on them and the way they see the charity. We did receive feedback from people who found the campaign not to their taste. However, on most occasions, we were able to turn this response around quite quickly through a personal email response. The right expertise – we were lucky enough to work with a talented creative agency, The Assembly, who donated their time pro bono. Their expertise and independent viewpoint helped us to push the campaign to be bolder and bigger than we could have achieved alone. As a result, we’ve been nominated for a D&AD industry award and honored in the Hermes Creative Awards. Secure your champions early – we brought our chief executive and a trustee (who has Parkinson’s) along to meetings in the briefing stages to make sure we had their buy-in. They helped to influence other members of the senior management team and board of trustees along the way, which allowed us to deliver such a hard-hitting campaign. Involving people affected by our cause – people with Parkinson’s set the agenda for this campaign. We asked them whose attitudes they’d like to change and they told us the public was a priority. They briefed The Assembly on what life is like with the condition. People of all different ages and stages of the condition checked our messaging to make sure what we were saying resonated with them. Secure your evidence – we commissioned a survey through YovGov that revealed 77% of Britons have little or no knowledge at all about Parkinson's. This gave us a clear objective for the campaign and a powerful statistic to launch our media activity with. Find your voice – people affected by a condition put the message across far better than anyone else can. Each advert represented a person, who told their story through our website and social media. Representing the diversity of people affected by the condition was a challenge, but we hope we included someone for everyone to relate to. Transparency – our campaign Q&A dealt with all the questions we were expecting and proved an invaluable resource to direct people to. Covering things like costs and how we included people with Parkinson’s in shaping the campaign showed we had nothing to hide. Update June 2013: Parkinson's UK and the agency they worked with on this campaign, the Assembly Network, have since been awarded a D&AD Yellow Pencil, three bronze Cannes Lions and two platinum Hermes creative awards. Clare has been at Parkinson’s UK for just over two years. She provides specialist marketing leadership for the charity’s information and support services, research directorate, volunteering team and local group network. She also works on campaigns to enhance the reach, profile and impact of Parkinson’s UK.